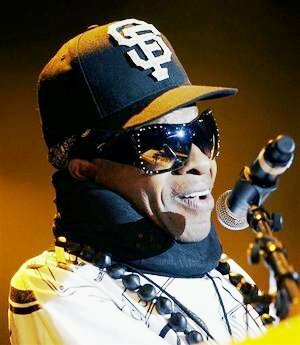 *Funk musician Sly Stone has filed a $50 million lawsuit against his former manager after accusing him of stealing his royalties for the past 20 years. The 66-year-old frontman of the 70s group Sly and the Family Stone claims Jerry Goldstein robbed him of millions in royalties to finance a lavish lifestyle. Stone also accuses Goldstein of registering the band’s name as his own and using it to borrow even more money. 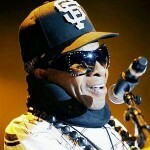 The musician, whose real name is Sylvester Stewart, is asking the Los Angeles Superior Court for the full accounts from royalty collection companies to determine exactly how much money had been taken from him, reports BBC News. According to the court filings, Stone said he had been homeless at times and was currently living off benefits. The documents added the musician depended on Goldstein to handle his financial affairs, and that he had paid Stone some money until 2007, but then stopped. Next ArticleGood News for Obama: Economy grows faster than expected in 4th quarter. So Sly says the man has been stealing from him for 20 years. That means Sly was 46 years old when he hired him. At that age, no career to speak of, and of having already sold his catalog to Michael Jackson he had to hire this man? For what, how many revenue streams did he have to track for himself? Even Oprah says she signs all of her outgoing checks. Sounds like a poor decision brought on by laziness and a drug induced haze. Back when they started it was only ever all about the music. The would be managers saw the potential for unending wealth long before the performers did. Yeah, his drug use probably contributed to so many years passing but that was still no reason for the jew to steal him blind. I hope the situation is rectified and he is able to recoup his money. I agree Pugsly 100% with your comment. It is a sad situation for some of the veteran artists to find out they were swindled. There are unsavory agents and managers all around. Actually, MJ did buy Sly’s catalogue but gave it back to Sly (I think!). The problem here is Sly. There have been rumors circulating that Sly was back on drugs. I don’t know how true it is but it seems that manager took advantage of this. I think I heard an interview last year or the year before by people close to Sly saying that he was surrounded by vultures who were out to take his money. Honestly, Sly had a wonderful gift and it’s a shame that he continues to destroy the gift that God has given him. I don’t know whether or not MJ bought Sly’s catalogue and gave it back to Sly, but I do know he bought Little Richard’s catalogue and gave it back to him. Bet the vultures were mad as h.e.ll at MJ over all the money they could have made off that particular catalogue!